Demolished, supermarket on site of the station and goods yard. 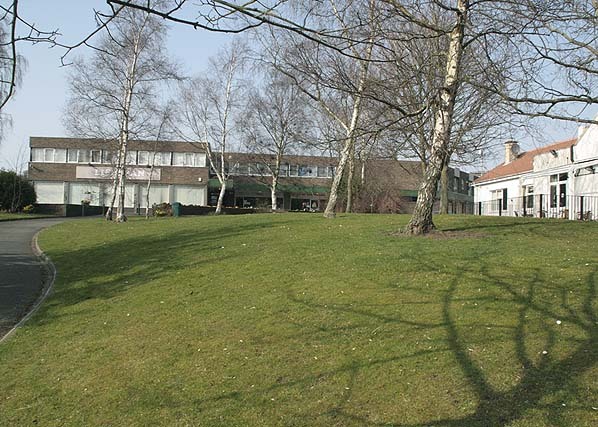 The south side of the station site is a park. 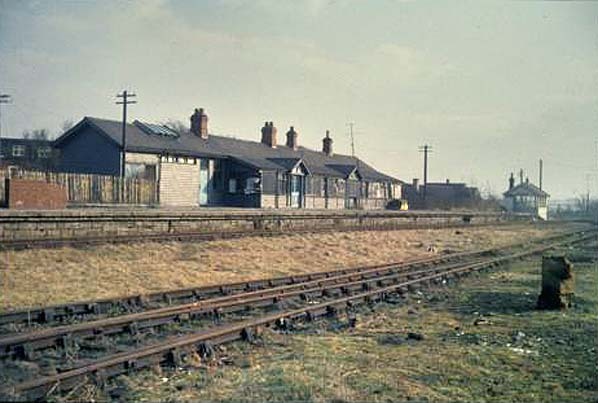 Notes: The branch terminus, situated 6 miles 68ch from the junction at South Gosforth, possessed a single platform on the up side of the tracks and an extended version of the single-storey timber building found at the intermediate stations on the branch. A glazed verandah stretched for about two-thirds of the length and was decorated with two cross-gables. 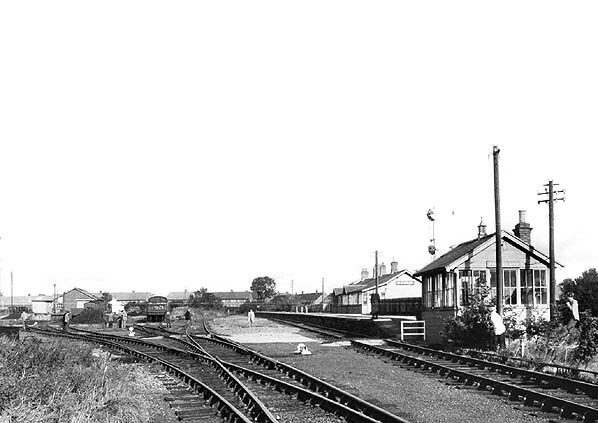 A low timber signal box stood at the southeast end of the platform. This was the busiest station on the branch issuing 32,084 tickets in 1911. 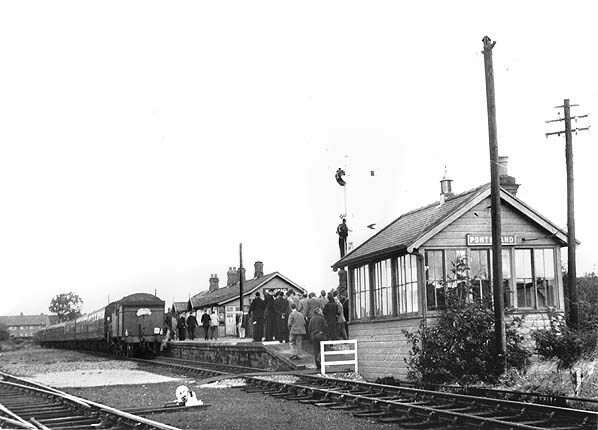 The building survived into the 1960s: the last passenger train to arrive at Ponteland was the Five day North East Railtour on 29th September 1963. 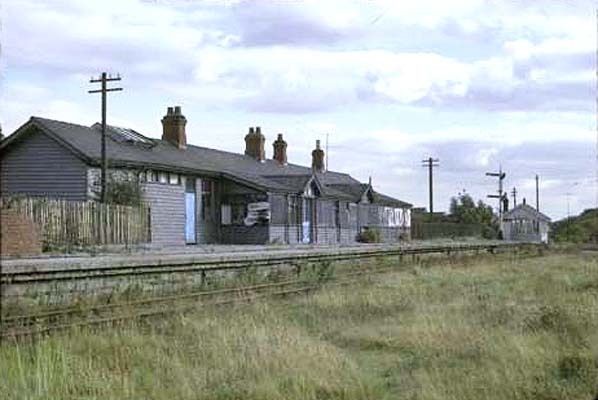 The station remained open for goods traffic until 14th August 1967 with a private siding remaining after that date but by the mid-1970s the station had been entirely removed. 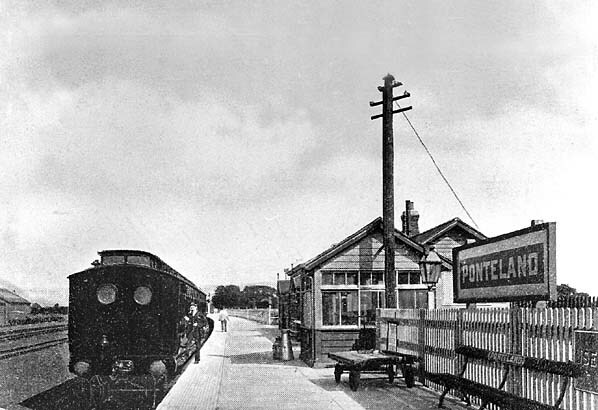 Ponteland had the largest goods yard on the line which was sited on the west side of the station. 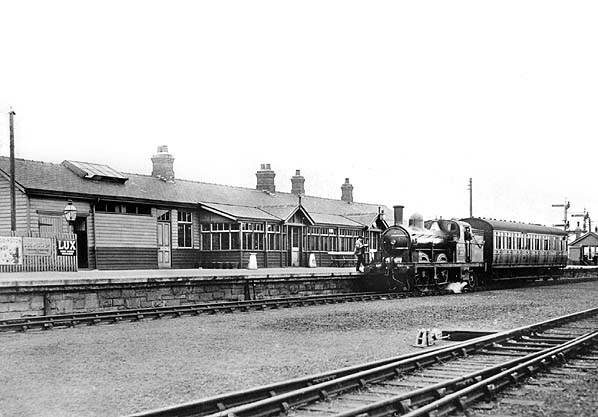 Facilities in 1920 included five sidings and a reversing loop, water tower, cattle dock and a large brick goods shed. Sheds from 1923. (Further electrification was delayed for over fifty years!) Operation of branch services was generally by Fletcher ‘BTP’ locomotives fitted with auto apparatus (based at Heaton Shed). Advertised as ‘steam auto-cars’ these push-and-pulls provided nine to ten services between South Gosforth and Ponteland on weekdays (four on Sundays) taking 20 minutes to complete the journey. 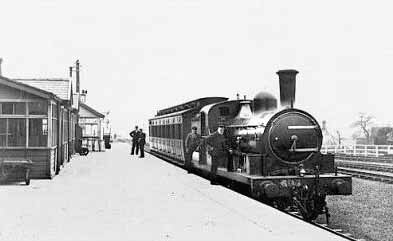 By June 1920 the Sunday trains had been withdrawn. SLS/RCTS 5 day North East Railtour at Ponteland Station on 29th September 1963. This was the last passenger train to call at the station. months after closure to goods traffic.